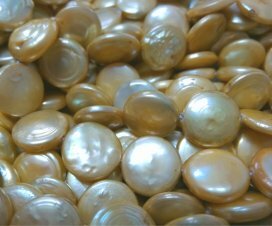 These champagne colored round shaped coin pearls are available at an approximate size of 13-14mm. 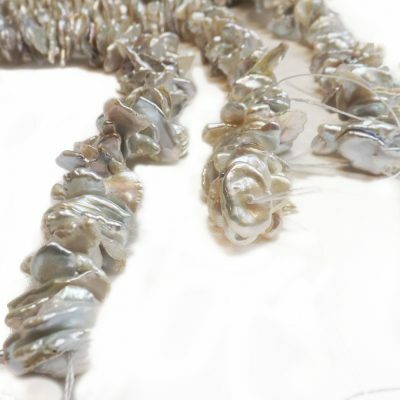 Each strand has an approximate weight of 40.42 grams. 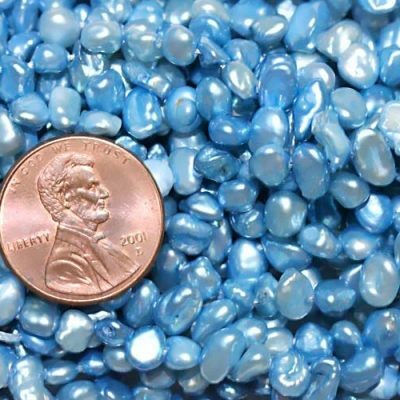 The pearls are AA quality with a few surface markings as you can see from the picture. The thickness is almost 0.5mm. 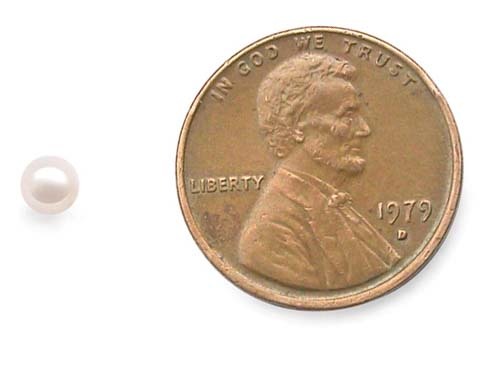 There are approximately 28 pearls on the strand at a length of approximate 15in long. These large pearls are gorgeous and hard to come by. They will make the most beautifully unique jewelry pieces that everyone will love!